Everyone loves a bargain, right? Food, clothes, shoes – if it’s got a cut-price label, most people are interested. The same goes for cars, but finding money off a barely-used example can be tricky. However, that’s not to say they don’t exist. As used car dealers, we've spotted some nearly-new cars which offer a huge saving over the brand-new option! 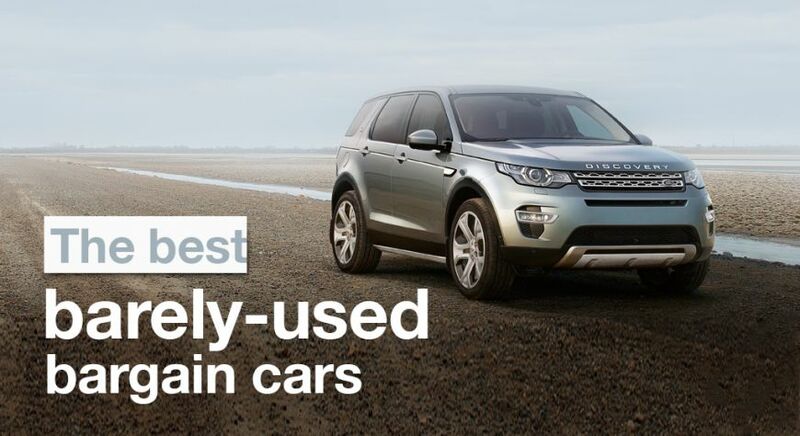 The big Discovery’s smaller sibling is this Discovery Sport – a surprising entry into this list as it’s actually a very desirable car. The baby Disco mates a superbly practical seven-seat body with the prestige of that Land Rover badge to make brilliant family transport – albeit with a dated interior and distinct lack of top-end tech. Still, with an easy £12,000 off list price, a one-year old example is a bit of a bargain. BMW’s ever-popular 3 Series is being replaced this year, and that means you can get exceptionally good deals on one-year-old models. We had a look at the powerful 330d Touring model, which packs a 3.0-litre straight-six engine making it ideal for those undertaking long motorway slogs. Opt for a new one, and you’ll pay in the region of £42,870 – though go for one a year old, and the price with be considerably lower. Looking at the prices of lightly used Vauxhalls might make you wonder why anybody buys a new one. It’s possible to get nearly £12,000 – or a discount of 54 per cent – off the price of an Astra after just a year on the road. That’s not even for a basic model either – we found a sporty-looking SRi with the excellent 1.0-litre turbo petrol engine.